Grilled chicken can be a bit tough, but marinating it will give you the most tender and yummy piece of chicken you have ever tasted. 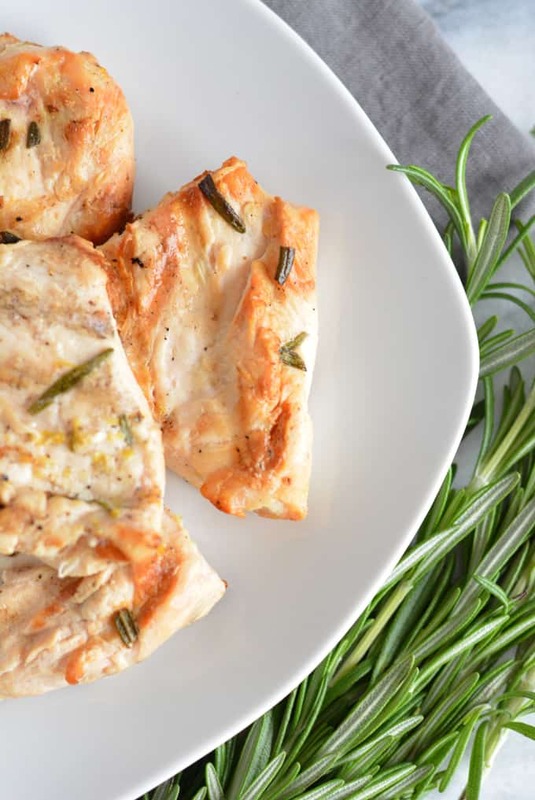 This grilled lemon rosemary chicken breast marinates quickly for an easy weeknight dinner. I grow rosemary in my garden every summer. I have tried really hard to continue to grow herbs throughout the year inside our house, but I end up killing the plants pretty quickly. Despite taking horticulture classes in high school my thumb is not green. 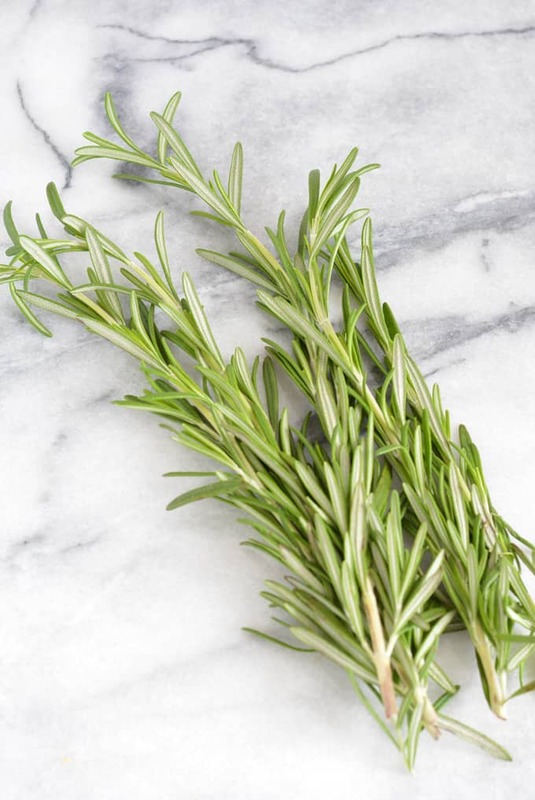 You only need a few sprigs of rosemary, so if you have to purchase rosemary from the market you will have extra. I am always careful when using lemon as a marinade. My husband made lemon chicken a few times and only marinated the chicken in lemon juice. It was lemon overload and the lemon made the chicken tough. Grilled chicken can be tough anyway if you are not careful. Cutting the lemon juice with wine seems to help make the chicken more tender. The chicken only needs to be marinated for an hour. I like quick marinades because I would likely forget to marinate the chicken before I left for work. You can, of course, marinate longer if you want to cook the chicken right after you get home, but you don’t have to. We are often crunched for time, especially on days I work at the hospital. One hour for marinating usually works with our time schedule. We can usually do homework before the chicken needs to go onto the grill. I use both boneless skinless chicken breast, but you can use thighs. When organic chicken is in the budget I pick up chicken thighs. I never purchase organic chicken breasts. I won’t pay $15.00 for three chicken breasts when I can get 10 breasts for under $12.00. 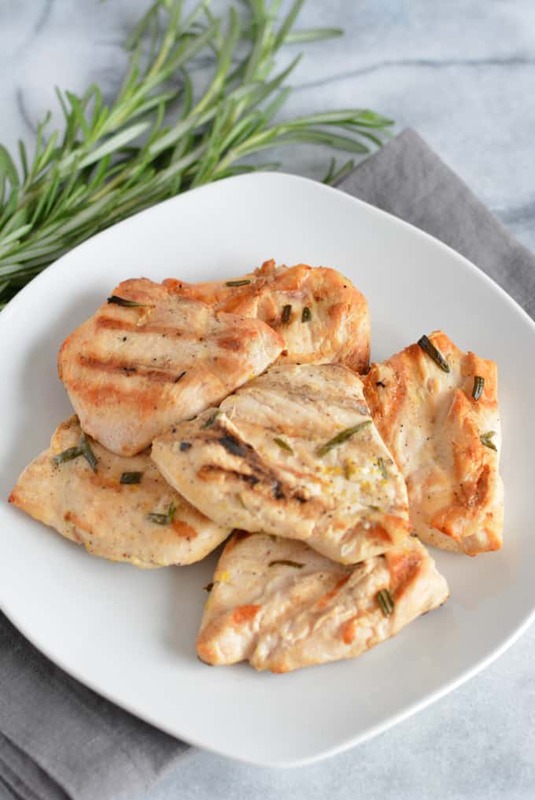 Grilled lemon rosemary chicken breast only takes an hour to marinate. A quick easy dinner perfect for a busy night. 3 sprigs of fresh rosemary leaves removed and chopped. 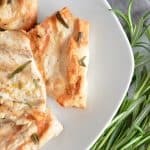 Combine olive oil, lemon juice, lemon zest, white wine, rosemary, garlic, salt, and pepper into a large glass baking dish. Add chicken to the dish. Refrigerate chicken with the marinade for at least an hour. When ready to grill the chicken discard marinade. Place chicken on a grill heated to medium-high heat. Cook for about 4-6 minutes on each side or until chicken is cooked through. The internal temperature should be 165F.